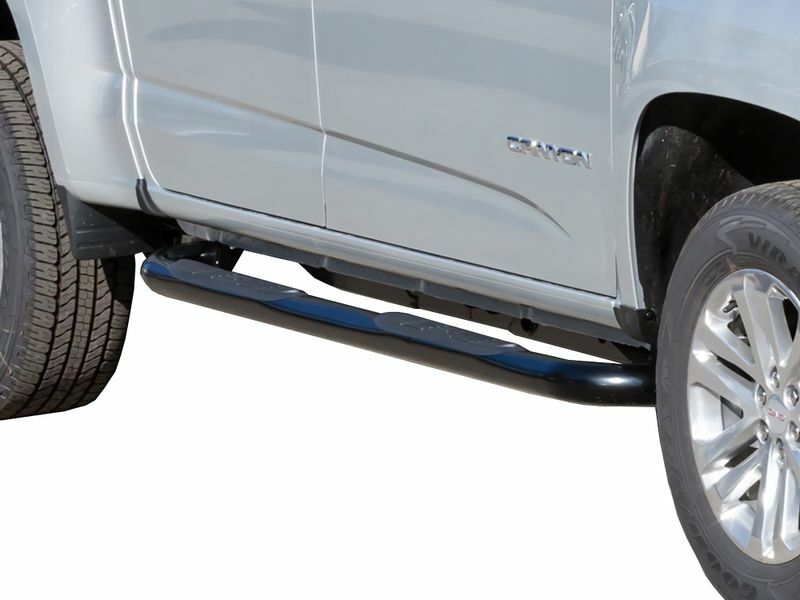 The Westin E-Series Black Nerf Bars are Westin Automotive third generation truck steps. Westin crafted these nerf bars with including all the important aspects of a great running board, into the Westin E-Series Black Nerf Bar! Each 3" diameter carbon steel nerf bar is constructed individually for your truck ensuring you get the perfect fit! The Westin E-Series Black Nerf Bars are made of durable, black powder coated steel and are furnished with black recessed step pads. The step pads are recessed to offer better traction in any element. To make things even better, the E-Series mounts to specific brackets on your truck making them more secure and durable. Installation is a cinch with the custom mounting brackets that are shipped with your new running boards. The no drill instillation makes these running boards an even better value! Westin Automotive Products, Inc. guarantees the original purchaser of Westin products a three year warranty from the date of original purchase against manufacturer defects in materials, workmanship and finish under normal use excluding damage resulting from road hazards such as gravel or other debris, product misuse, improper installation, impairments from accidents, product modifications or product neglect. This three year warranty applies only to new products and is limited to the repair or replacement of Westin products. Warranty does not include electrical components or light bulb replacement, costs of removal, installation, labor, freight, inconvenience or consequential damages. Original purchaser must return defective merchandise, along with the purchase receipt, to the original place of purchase. This warranty does not cover damage resulting from accident, misuse, neglect, improper installation, fire, vandalism or any form of abuse. Easily install the E-Series nerf steps in your own garage. Need help? Give us a call at 877-216-5446.